Born on 31. 7. 1953, podiatrist-trainer (certified podiatric physician), postgraduate specialisation in orthopaedics of the 1st and 2nd degree, also postgraduate specialisation in public health, certified courses in rehabilitation, physiatry, musculoskeletal medicine, lymphology, sonography and orthopaedic prosthetics. More than 35 years of medical practice including in podiatry. Operator of the first private facility for comprehensive musculoskeletal system care including podiatry, with the provision of body care and pedicure services. In 1992, a university teacher at the Institute for Postgraduate Medical Education in Prague (IPVZ Prague), intensive lecturing and publishing activities in the Czech Republic and abroad. In 2002 – 2004, the Minister of Health of the Czech Republic. She also served as the chief physician of the Jáchymov Spa (Léčebné lázně Jáchymov a.s.), where in 2011 she successfully opened a comprehensive podiatric-orthopaedic centre, including medical pedicure, as the first such facility in the spas in the Czech Republic. Since 2012 she has been acting as the President of the Czech Podiatry Association. Since 2013 she has also been the chief physician at the Medical Podiatry Centre Prague (Lékařské podiatrické centrum Praha). 2009 – chief physician of Léčebné lázně Jáchymov a.s.
MUDr. Marie Součková has had over 35 years of experience in medical practice, including podiatry. She has been running a private medical office in Prague 1, in the field of orthopaedics-podiatry, where thanks to her knowledge and skills acquired in other specialisations she has performed examinations of musculoskeletal system disorders, including sonography. 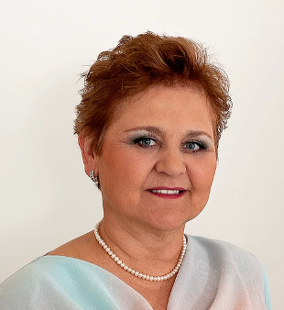 In 2011, she opened the first comprehensive podiatric-orthopaedic centre, including medical pedicure, in the Czech Republic, namely in Jáchymov Spa. She frequently gives lectures and is engaged in publishing activities in the Czech Republic and abroad. Currently, she acts as the chief physician at the Medical Podiatric Centre in Prague. She is a member of the Czech Medical Chamber, the Czech Red Cross, the Czech Podiatry Association, FIP-IFP (as the President of the Czech Podiatry Association she represents the Czech Republic as a delegate with a voting right), a member of the Czech Medical Association of J. E. Purkyně – the chairperson of the Podiatry section of the Orthopaedic Prosthetics, a member of the Society of Rehabilitation and Physical Medicine, the Czech Society for Orthopaedics and Traumatology, and the Czech Society of Lymphology. She cooperates with foundations and associations – Vulnerable Children´s Fund - Klokánek, civic organisation of oncological patients MammaHelp.